This is my 600th post. I should be celebrating with a vegan, gluten-free, sugar-free cake, but that would be sheer lunacy. Well, jeah. The scoop is that Lorna has posted 600 honklarious posts, and she continues to remain anonymous in the world of fame and fortune. She’s a post-911 hyper-surveillance anomaly. No film at 11—why bother? I could joke about my prolific obscurity all day, but I have more pressing issues to contend with. The Big Butinski has been on my mind ever since I had a recent conversation with my mother. What the heck am I talking about? I reread this, and even I got confused. Here’s what you should know before you hear the conversation with my mom. I’m a middle child (one knocking on the door of 60 years old); this scar is going to the crematorium with me. I live 2,500 miles from her. She says she misses me. Unlike my younger sister (the baby) who rarely calls her, I call Mom at least once a week. She says she appreciates the call. I haven’t seen Mom in over a year. Me: One ringie dingie. Two ringie dingies. Three ringie dingies. Mom: (With the hesitation of someone reluctantly opening the door to encyclopedia/vacuum/computer virus salesperson) Hell…o? Me: Hi, Mom! It’s me! How are things? Mom: Oh. Lorna. Hi. Good. I guess. Me: What’s the matter, Mom? Is everything all right? Mom: Yes. Fine. I’d love to talk, but I’m in the middle of doing dishes. Can you call me back? Me: (Pausing…making “Oh no, she just didn’t” face…recovering*) Sure. Sorry. I’ll call in an hour or so. Love you! Mom: Make it an hour and a half, okay? Love you, too. Click. *This is not the first time the dishes have won out over me when I’ve called her. Also, the last time I flew home, I had to wait a whole day to see my mom because she was taking a bath and had a salad to make for a family get-together my sister had planned. As I said, she has her routines. I wasn’t upset. Indeed, I chuckled. Laughing. Crying. It’s a fine line. You’ll understand if you’re a middle child. Or anyone who has been shunned. Beware of the Big Butinski: it negates everything in the sentence before it appears. It’s the truth after the nice little lie. 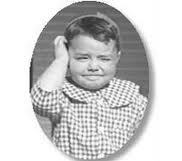 I love the way you experiment with new ingredients, but I sure miss the way Mom made meatloaf with, you know, meat. You should wear your hair any way you want, but I really like your hair long. It’s your business, and the decision is yours, but if I were you, I’d fire your children who are clearly taking advantage of you. Dogs are great, but I’m more of a cat person. I don’t have any regrets about how I’ve raised my children, but I would do a few things differently if I could. I’m on a strict 1,000 calorie a day diet plan, but it’s _________(fill in the excuse), and I’ll get on track tomorrow. I love my job, but I can’t wait to retire. I’ll eat anything, but I can’t stand that tofu stuff! You’re a really good driver, but could you slow down just a little? I’d love to follow your blog, but I’m crazy busy. Like in every aspect of the English language, there are exceptions to every rule. “Buts” don’t always negate what precede them. But, the rule holds in enough cases for you to be aware of it. I thought that alerting you to an annoyance in our language might be fitting since my blogging career started with such a big bang 600 posts ago with a little ditty called “To be Honest With You.” It, too, dealt with a lexiconical bugaboo of mine. It was my first post, and it was Freshly Pressed. The only one that ever got that recognition. And I was so new to blogging that I thought that WordPress was just welcoming me into the fold! Silly me. I get easily confuzzled. Did then. Do now. Do Big Butinskis show up in your conversations? Who’s the Voice Behind Lorna’s Voice? Check out these Must-See Pages! Do you want your manuscript to captivate your audience from the first to the last word? My eyes have always spoken volumes. It's time to give my voice a turn. 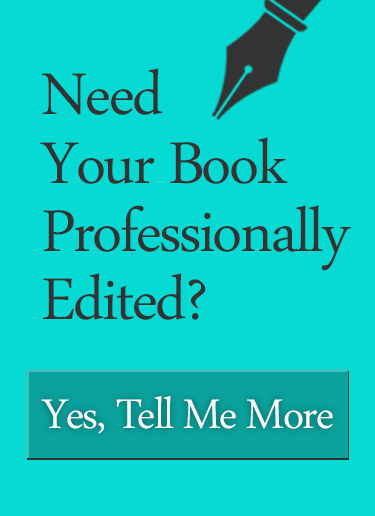 Click on this button to find out about my editing services and FREE introductory offer! Lorna's 2nd book is available in BOTH e-book and paperback format. Remember to write a review. I'm dying to know what you think of the book! Now available in it's NEW and IMPROVED 2nd Edition!